EMERYVILLE, Calif., Nov. 8, 2018 /PRNewswire/ -- The American tale of starting from nothing, pulling oneself up by the bootstraps and striking it big is a classic one, but it's becoming less common in reality. For a while, the story was going to college and getting a degree to get further in life, but it's hard to call taking out a loan that will likely take decades to pay off "pulling oneself up by the bootstraps." And when a degree is frequently a requirement for even entry-level jobs, it becomes a necessity, not a tool for betterment. American Financial Benefits Center (AFBC), a document preparation service company that has helped many student loan borrowers apply for federal repayment programs, worries that a major class and economic disaster may be looming due to the expanding problem of student loan debt. Technology is advancing at amazing rates, like with computers and medical technology, but it's becoming increasingly difficult for many individuals and families to afford to keep up with these advancements. As a result, the gap between lower- and middle-income families and the upper class is widening at an alarming rate that won't be easy to recover from. Middle-income families already have difficulty obtaining financial aid for attending college, where the loans come in, and updated FAFSA rules are likely to make it difficult for low-income independents to receive the support they need to attend college without loans. A lack of degree also likely brings with it a lower pay, overall. So individuals are stuck making a difficult choice: a lower income and a lower quality of life but no student loan debt or a shot at that higher income, if able to land a job that doesn't demand high levels of experience first if they aren't denied a job outright for being too overqualified with that degree, but also being saddled with burdensome student loan debt. "The idea of pulling yourself up by your bootstraps seems great. But lately it seems people trying to do just that, especially student loan borrowers, are hurting themselves in the long run," said Sara Molina, manager at AFBC. This student loan debt cycle is a harsh one to break free from. AFBC has been there for thousands of struggling student loan borrowers to help them apply for federal income-driven repayment programs that have potentially lowered their monthly payments and gotten them on track for student loan forgiveness after 20-25 years of being in the program. "We believe student loan repayment shouldn't have to be a struggle, that's why we're so dedicated to helping our clients in the ways that we can and being a student loan advocate," said Molina. 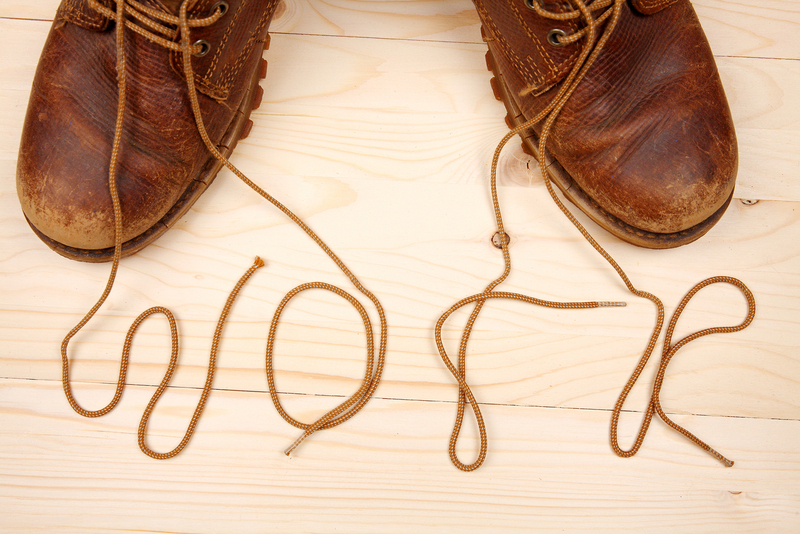 Work Boot Laces Spelling Out "Work"